December 1, 2010 - Unite, the union for British Airways’ 11,000 cabin crew, Monday confirmed that a fresh ballot for industrial action at the airline is soon to get underway. Announcing the new ballot, Tony Woodley, joint general secretary of Unite, said: "British Airways’ latest offer is not acceptable to our members, a point we made clear to the airline earlier this month. "Regrettably, we have not found it possible to resolve the outstanding issues concerning cabin crew since then. BA told us it was a business in crisis. It demanded structural change. These changes have been made and this business is now in profit with senior management filling their wallets with the spoils. 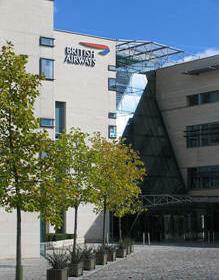 “Yet BA is determined to continue with this vicious war against its workforce. It is time for BA to put its passengers first and the best way to achieve this is to resolve the issues between us, which would not cost BA a single penny and yet would bring priceless stability and peace to the company. However, BA's continued hounding of union members leaves us no other option but to conduct a new industrial action ballot. "This airline has conducted a year-long assault on cabin crew collectively and on many of them as individuals. We will not stand by while this airline bullies our members out of their jobs, and if it takes strike action to bring BA management to its senses, then that is the road we must, regretfully, travel. Our door is open to negotiations with BA, but it must understand the depth of feeling among our members. Nothing short of the fairness and decent treatment they deserve will be acceptable." Tony Woodley outlined the specific issues that BA should address to solve the dispute; an immediate restoration of staff travel concessions in full to the crew from whom they were taken by BA, binding arbitration through ACAS of all cabin crew disciplinary cases related to the dispute, restoration of the wages docked from crew who were genuinely off sick during strike dates and full and proper discussion of the trade union facilities agreement at the company with the immediate removal of all threats and sanctions made by BA in relation to this. Unite expects to serve notice of an industrial action ballot to the airline shortly. The ballot should be concluded in early January.